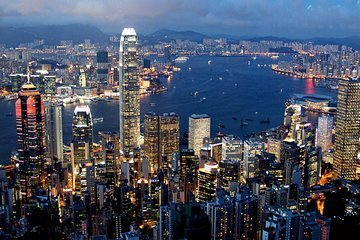 See Hong Kong and Lantau Island on a 3-night tour that includes two full days with a guide who shows you the highlights. Ride the Peak Tram up to Victoria Peak for views over Hong Kong, then visit Aberdeen Fishing Village, Stanley Bay, Stanley Market and Man Mo Temple. Cross over to Lantau Island on the Ngong Ping Cable Car, see Po Lin Monastery and the Big Buddha, Tai O Fishing Village and Ngong Ping Village. Includes three nights accommodation, airport transfers, and hotel pickup and drop-off.